We have a lovely family member who is willing to give her Uncle a kidney. The University of Utah is dragging their heels for some unknown reason. Honestly, we do not understand and they have put him on the inactive list for some reason. Mike is feeling so awful, is not wanting to eat and energy level has dropped to very little. One of the medications they put him on to raise his red blood cells nearly killed him as he had an extremely bad reaction to it. The doctor made us do it again to prove it was the medication. Go figure. It’s horrible to watch your spouse suffer. To top off the problems, Mike is in need of a new shoulder. A complete shoulder replacement as it is now bone on bone rubbing together and causing him enormous pain. They can repair his shoulder but going under general anesthesia can cause his kidneys to finish going out and no kidney function at all. Therefore Mike has opted to start peritoneal dialysis asap. This is where a surgeon puts a tube in the area behind your stomach called the peritoneum. It acts as a “strainer” filter to get rid of the “bad things” or toxins that the kidney can’t do anymore. It’s very smart and knows which things are good to keep and which ones aren’t. He can do this at home. He will hang a bag of fluid that will go into the abdomen and as it “washes ” out the toxins it drains into another bag and resembles urine. When the process is done he just empties the bad fluid into the toilet just like urine. It’s a 30 minute process that he does 4xs a day which is about how many time most people go to the bathroom anyway. So we are waiting for the surgeon to call with a time for this surgery, then it takes two weeks to heal. He will then go to the dialysis center in Ogden and be taught what to do and we will be able to do it at home. He also has sleep apnea and we are waiting on a machine for that. Seems like all they have us do is wait and wait and wait. As a wife I am very anxious. I know Mike is too. He keeps to himself as he doesn’t want to worry me but I worry anyway. About what I know and what I don’t know. Your prayers are appreciated and if you are financially able to donate to HELP HOPE LIVE in his name at this website for him we will be gratefully thankful for your caring assistance. Our love to all our family and friends. Michael is in need of a Kidney Transplant as soon as possible. Michael needs a donated kidney and donations to cover the expenses of post-transplant medications and recovery. This includes housing near the University of Utah for 6 weeks following the transplant because he has to see the team on a regular basis daily then weekly till he is released to go home, and transportation to and from the University for appointments before and after that amounts to approximately 100 miles round trip, that are not normally covered by insurance companies. 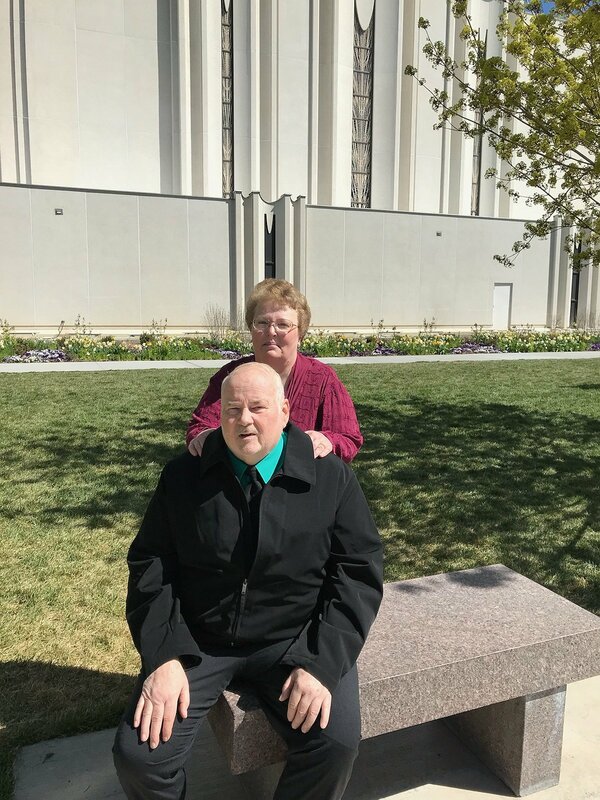 Michael and his wife LuAnn have been happily married for 42 years and would like to be able to extend that time together with this transplant. They are the proud parents of 4 wonderful children and 7 grandchildren with #8 due in May 2019. Right now he is unable to go very far from home so seeing these grandchildren is very difficult. He would like to be able to play catch, bounce a basketball etc. with the boys, enjoy a “tea party” with the girls, be able to sit on the grass, go to the park, attend their graduations and other things grandpas do with their grandchildren. Right now those things are very limited along with his passion of yard work, growing gardens, sports (going to the games not just TV) taking care of his vehicle and its maintenance, and spend time together with LuAnn doing things they enjoy doing together. The children feel that their father still has a lot to teach them and that he is very important in their lives and a great role model for them. 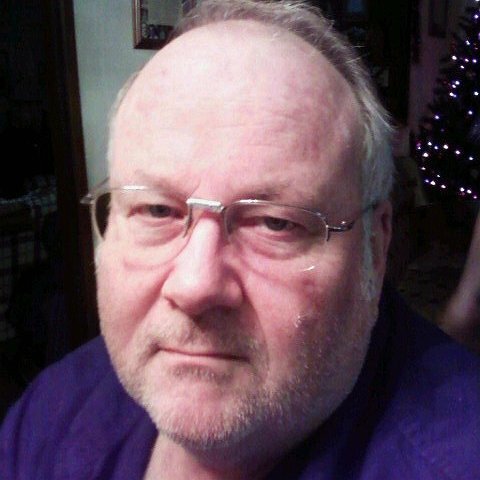 Mike loves his wife, children and grandchildren and would love to spend more time with and be able to play with them. We are hoping that you will see the great need that Mike and his family have and with your help, you can make this happen for them. Michael has chosen to fund raise for Help Hope Live in part because Help Hope Live assures fiscal accountability of funds raised and tax deductibility for contributors. Contributors can be sure donations WILL BE used to pay or reimburse medical and related expenses. To make a tax-deductible donation to this fundraising campaign, click on the Give button. To top off the problems, Mike is in need of a new shoulder. A complete shoulder replacement as it is now bone on bone rubbing together and causing him enormous pain. They can repair his shoulder but going under general anesthesia can cause his kidneys to finish going out and no kidney function at all. Therefore Mike has opted to start peritoneal dialysis asap. This is where a surgeon puts a tube in the area behind you stomach called the peritoneum. It acts as a “strainer” filter to get rid of the “bad things” or toxins that the kidney can’t do anymore. It’s very smart and knows which things are good to keep and which ones aren’t. He can do this at home. He will hang a bag of fluid that will go into the abdomen and as it “washes ” out the toxins it drains into another bag and resembles urine. When the process is done he just empties the bad fluid into the toilet just like urine. It’s a 30 minute process that he does 4xs a day which is about how many time most people go to the bathroom anyway. So we are waiting for the surgeon to call with a time for this surgery, then it takes two weeks to heal. He will then go to the dialysis center in Ogden and be taught what to do and we will be able to do it at home. He also has sleep apnea and we are waiting on a machine for that. Seems like all they have us do is wait and wait and wait. As a wife I am very anxious. I know Mike is too. He keeps to himself as he doesn’t want to worry me but I worry anyway. About what I know and what I don’t know. Your prayers are appreciated and if you are financially able to donate to HELP HOPE LIVE in his name at this website for him we will be gratefully thankful for your caring assistance. Our love to all our family and friends. Mike & LuAnn You know of our love for both of you We think the world of both of you. We pray for Mike and your whole family Continually. May angels attend you! Biggest hugs and prayers. I have so many fond memories of Michael as he substituted at Vale Elementary! Always good for a laugh and some fun! My prayers and best wishes to you both and please keep us posted on your progress.